In this summer, it is important that we take extra care and keep ourself cool and hydrated. As the temperature starts rising and drinking liters of water is not making a difference, the best way to keep your body cool is by trying natural cooling drinks. >Coconut water: Coconut water is invigorating and a natural coolant. It contains indispensable nutrients required by our body, which can help you fight the summer heat and reduces body heat. >Green tea and mango splash: This cooling blend which is equipped with a mixture of fresh mangoes and green tea is great for your health. You can also add a few pieces of strawberry or any other fruit you like. >Grape soda: This sweet and tangy, glittering drink is great when you are feeling dehydrated. It is mixture of pure grape juice and honey, which provides essential nutrients to the body. 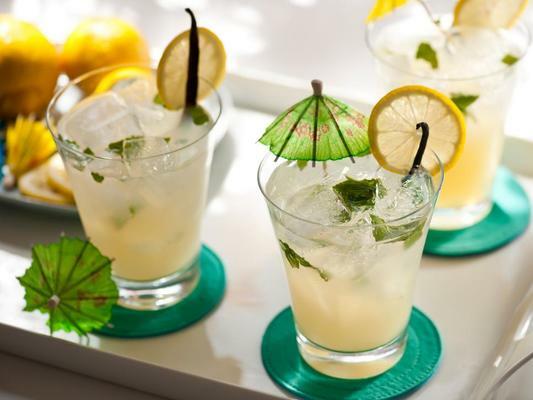 >Mint lemonade: Mint lemonade is healthy and refreshing drink. Add a few mint leaves and flavors to your regular lemon juice and enjoy this super tasty and healthy refreshing drink. > Kokum juice: Kokum juice is impeccable for a hot summer. This drink helps to avert dehydration, improves digestion, appetite and cardiovascular health. It also helps in fighting against many infections as it purifies blood in this summer. So, keep yourself hydrated and enjoy the summer with the above mentioned natural drinks. Treat Sunburns Naturally At Home!